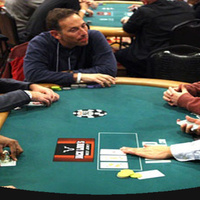 Canyon High School Football Booster Club's annual Poker Tournament Santa Clarita--you can experience a real Las Vegas style Poker Tournament on Saturday February 23, 2019 at THE CANYON CLUB! Payout to the last ten seated players with 1st Place winning a Gold Krugerrand!!! Visit www.CowboyFootball.ORG for all of the information!!! The Canyon Club in Westfield Valencia Town Center (24201 Valencia Blvd., Suite 1351, Santa Clarita, CA 91355—DIRECTIONS: Get onto Citrus Street north of Valencia Blvd and enter the BIG parking lot across from the Fire Station and then look for “The Canyon” sign on the building that you can see from the parking lot).